Playdough is versatile. 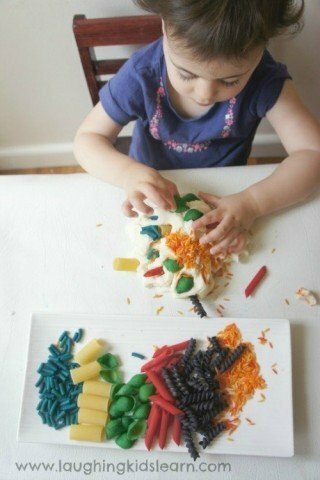 So is colored pasta. 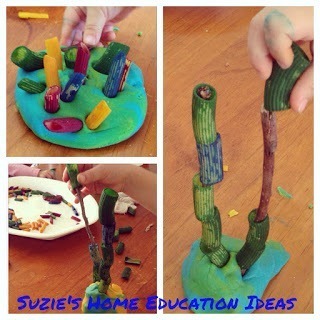 What if we combine these two fab materials for a bunch of fantastic kids activities? Here we have 10 of those amazing ideas. 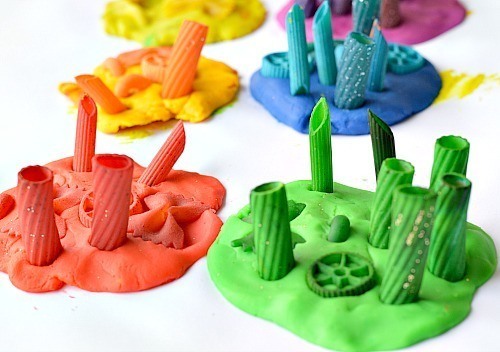 Before you go, here is a tutorial on “How to dye pasta”. 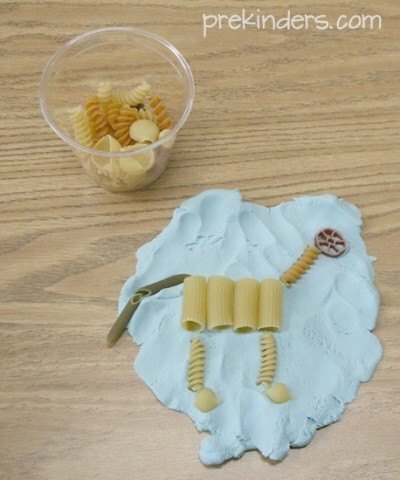 Have fun creating a dinosaur skeleton with playdough and pasta. 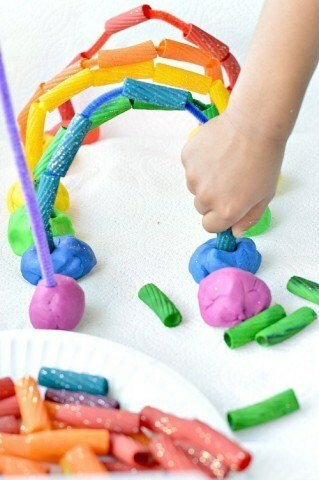 How about a fun learning activity ? 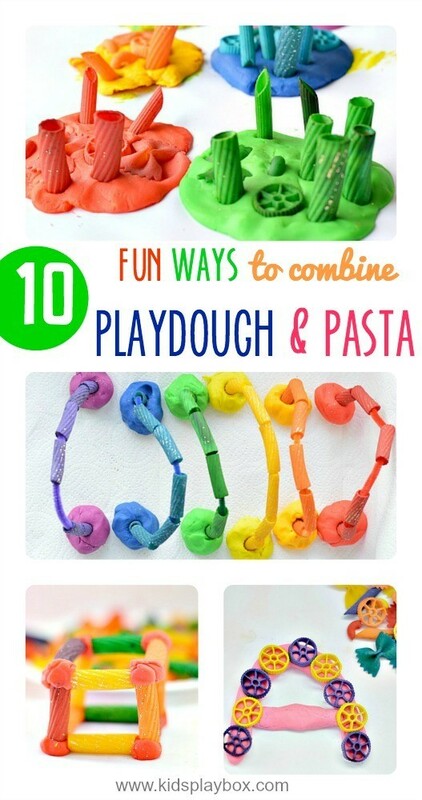 Create an exciting pasta shape matching game with play dough. 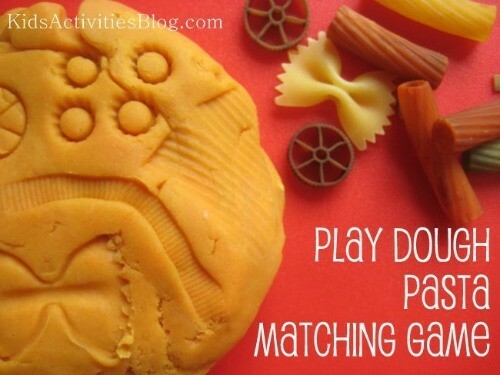 Or a toddler friendly color matching game with pasta and playdough. 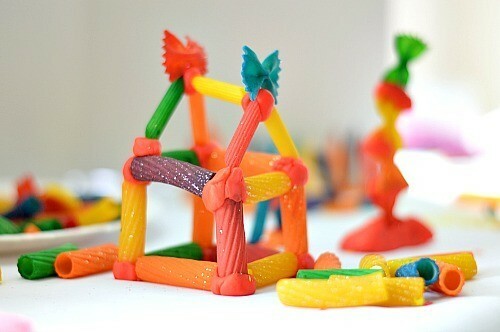 Perfect for toddlers. 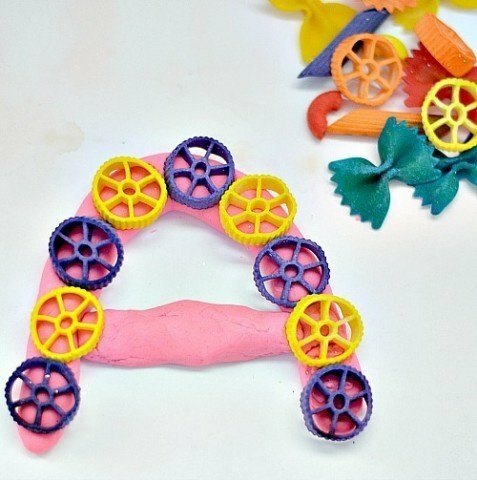 Trace playdough letters and numbers with pasta. 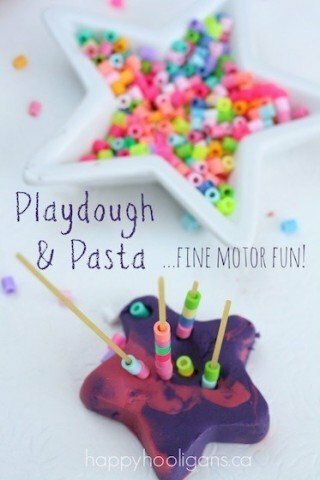 I adore this super fun and simple pasta and play dough play idea.